After receiving feedback from our community, we’re taking some time to reboot the speaker series. It will re-launch on September 29th, 2019… details coming soon! Here’s what we brought you in 2018, and you can check out the resources page for recordings. Andy Winter and Dr. Dicken Bettinger presented a webinar, see the recording here... "The Heart of the Principles"
Lana Bastianutti and Christine Higgins presented "Helping Teen Girls Thrive" at the Lexington Community Center. 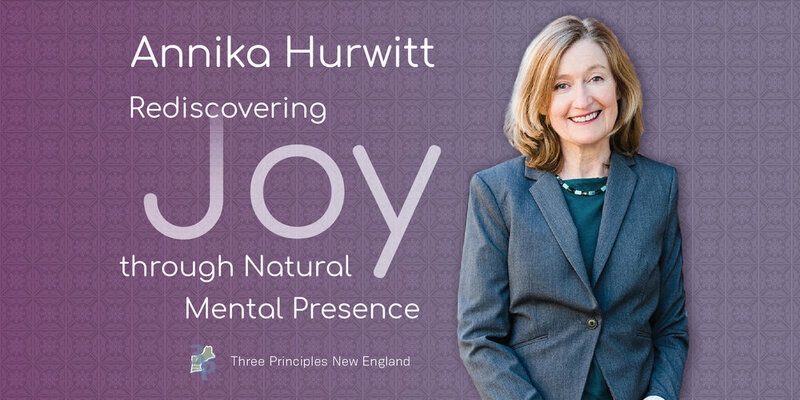 Annika Hurwitt, Ph.D., a New Hampshire based leadership coach traveled to Massachusetts and presented an in-person evening talk "Rediscovering Joy Through Natural Mental Presence." Ken Manning of Insight Principles business consulting presented "Producing Remarkable Results with Less Effort"
Martha's Vineyard coach Sharon Strimling was joined by our special guest from across the pond, Jacqueline Hollows of Beyond Recovery to bring us a webinar. View the recording here - "The Ease of Transformation". At 5:00pm Eastern Time, Andy Winter and Dicken Bettinger presented a webinar as a follow-up to their talk in January. Join us at 6:30pm in Newton, MA for this evening talk and discussion about "The True Essence of The Principles" with Jack Pransky. Join Lori Carpenos and Christine Heath, authors of the brilliant new book, The Secret of Love: Unlock the Mystery, Unleash the Magic, as they unveil where to find the magic this holiday season. Click here to register.